"The last Dominator mission of the war was flown by four B-32s on August 28 in a reconnaissance mission to Tokyo. The mission was a disaster, although not because of any enemy action. 42-108544 lost an engine on takeoff and skidded off the runway. 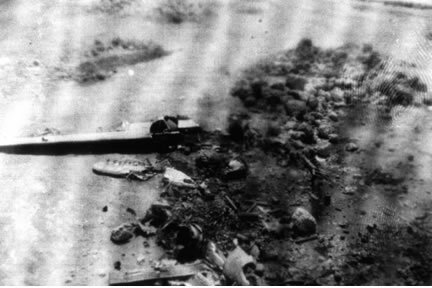 All 13 men aboard perished when the aircraft exploded and burned. On the way back from the target, 42-108528 lost power on two of its four engines. The plane's pilot ordered the crew to bail out, but two men perished."